In northwest Coral Springs in the community of Westview Village is an enclave of custom built homes, that are surrounded by waterways. Easy access to major highways and city amenities. Stunning entrance to this detail oriented home on a cul-de-sac in Westview Village offered at $560,000. This 6 bedroom/ 4 bathroom home features bold two story pillars, a perfectly paved circular driveway, and exquisite landscaping. 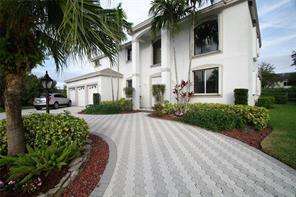 Gorgeous, unique, eye catching marble floor greets you in this bright two story entrance! Built in wine rack in this bright kitchen. 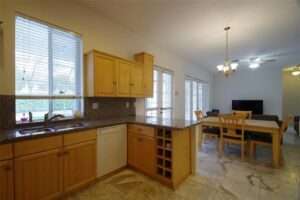 Adjacent dining area and family room has french doors leading out to the screened in patio and pool. 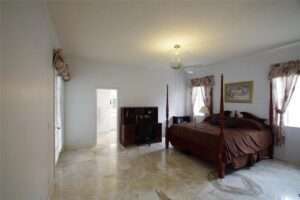 Beautiful marble floors throughout these rooms. Marble floors continue throughout this spacious first floor master bedroom. 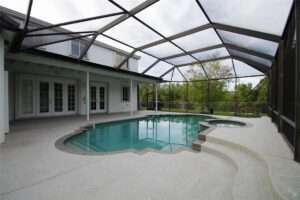 Screened in pool with french doors, leading to the large fenced in backyard with water and golf course views. 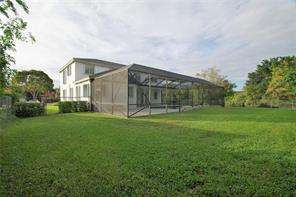 Beautiful fenced backyard with unlimited options for entertaining with water and golf course views.